Author: Khadra, Yasmina Set In . . . 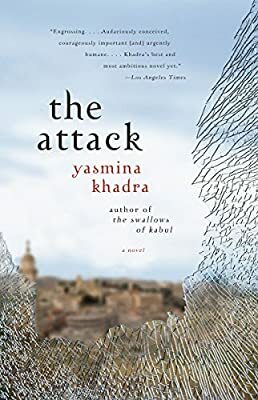 Description: From the bestselling author of The Swallows of Kabul comes this timely and haunting novel that powerfully illuminates the devastating human costs of terrorism.Dr. Amin Jaafari is an Arab-Israeli surgeon at a hospital in Tel Aviv. As an admired and respected member of his community, he has carved a space for himself and his wife, Sihem, at the crossroads of two troubled societies. Jaafari’s world is abruptly shattered when Sihem is killed in a suicide bombing.As evidence mounts that Sihem could have been responsible for the catastrophic bombing, Jaafari begins a tortured search for answers. Faced with the ultimate betrayal, he must find a way to reconcile his cherished memories of his wife with the growing realization that she may have had another life, one that was entirely removed from the comfortable, modern existence that they shared.